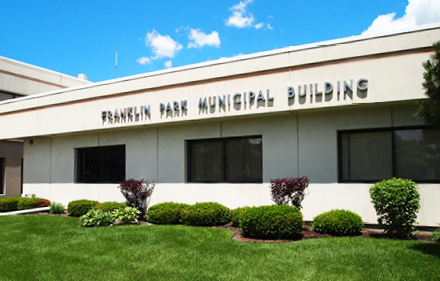 Franklin Park residents must register with the Village to hold a garage sale. You can visit Village Hall or call the Clerk's Office at (847)671-8242. There is no cost to register. Remember, a garage or yard sale sign can only be placed on your property. Sales can be held for a maximum of 30 hours within a three day period. Residents are allowed two garage or yard sales per 12-month period, with at least a 3-month period between the two sales. Sale hours cannot be earlier than 8 AM and must end by 7 PM. To register for a sale, call 847-671-8242, visit the Clerk’s Office at Village Hall or apply on-line HERE. .
Can I have a garage or yard sale? Yes, two sales are permitted per calendar year. They can be up to 30 hours in duration within three consecutive days between 8:00am and 7:00pm. Registration with the Clerk’s Office is required prior to each sale. Is there an ordinance for watering/sprinkling my yard in the summer? Yes, from May 15th to September 15th each year from 12:01pm to 6:00pm, it is unlawful to engage in lawn sprinkling or other landscape use of water supplied from the Municipal water system. Where can I register to vote and what are the requirements? What type of identification do I need to register to vote? When is the approved time for trick or treating on Halloween? On October 31st between the hours of 3:00pm and 7:00pm.